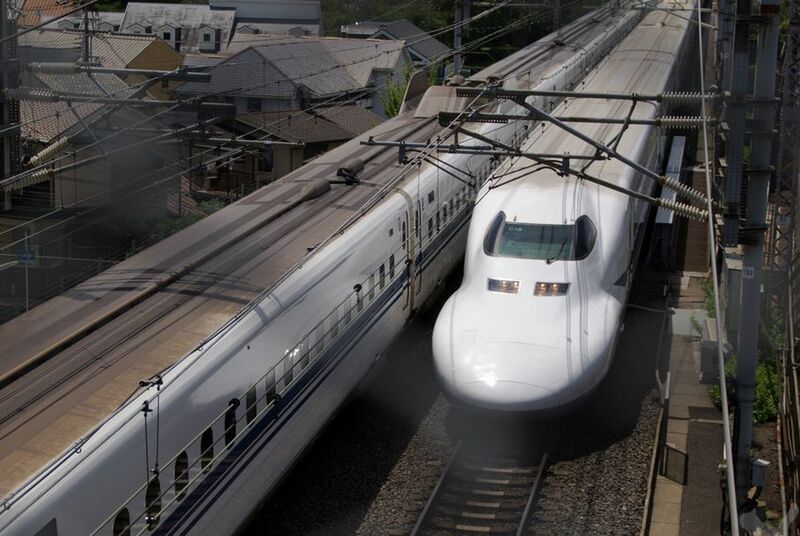 Details of an expensive, privately funded high-speed rail project connecting Dallas and Houston will come out next year, just in time for candidates for office to weigh in. The current political calculus is pretty simple: If the Obama administration is in favor of something, Republicans will be against it. In recent years, high-speed rail has been added to that list as Vice President Joe Biden, a longtime rail enthusiast, has touted federal proposals to fund projects around the country in the face of GOP opposition. Texas may turn that political wisdom on its head next year as a private firm moves forward with plans to build a bullet train between Dallas and Houston. While the project has the potential to transform the way Texans get around, it could first become an issue in next year’s elections. The company, Texas Central High-Speed Railway, drew attention last year when it announced plans to develop a high-speed rail line without public subsidies. Texas transportation officials took the project seriously, noting the pedigree of the investors: Japanese financiers behind a profitable bullet train line in Japan. Interest has only increased in recent months as the company has added former Texas Rangers president Tom Schieffer and Peter Cannito, former president of the New York-based MTA Metro-North Railroad, as senior advisers. At the recent Texas Tribune Festival, Texas Central High-Speed Railway President Robert Eckels provided new details about the timeline for the company’s plans. “We expect to go out in the field after the first of the year with our notice of intent and our environmental impact statement,” said Eckels, a former state legislator and Harris County judge. Local and state officials have been waiting for those filings to learn more about the exact route the company wants its bullet trains to take and the locations of the rail stations. Though some North Texas officials had lobbied the company to place its northern station at Dallas/Fort Worth International Airport, company officials have confirmed they are focused on downtown Dallas. As more details come out, the project could present political pitfalls for those on next year’s ballot. While Republicans may favor the company’s free-market focus, that doesn’t mean the project won’t be completely free of public costs. During this year's legislative sessions, some lawmakers opposed the allocation of any new transportation resources unless they were dedicated to road construction and maintenance. Democrats may find themselves questioning whether low-income Texans will be priced out of the service if tickets are priced to cover expenses and make a profit without subsidies. And both Democrats and Republicans may feel a sense of déjà vu as they draw questions about whether Texas Central High-Speed Railway should be permitted to acquire private Texans’ property. Though the firm hopes to develop most of the line along current freight line rights-of-way, Eckels acknowledged that those won’t cover the entire route. The idea of a foreign-backed private company employing eminent domain for a major transportation project could draw comparisons to the Trans-Texas Corridor, a political headache of a project that lawmakers had to repeatedly declare dead in order to appease angry voters. Texas Central High-Speed Railway hopes to start construction in 2016, with Texans making the first trips between Dallas and Houston in less than 90 minutes as early as 2021. Whether the project stays on that timeline will be dependent in part on how it is received next year, just as statewide political races are heating up. If politicos don’t put up too many obstacles, Republican-friendly Texas could sport the country’s first true high-speed rail line. Somewhere, Joe Biden is smiling.